This project was funded in part through the Ontario Farm Innovation Program (OFIP). OFIP is funded through Growing Forward 2 (GF2), a federal-provincial-territorial initiative. 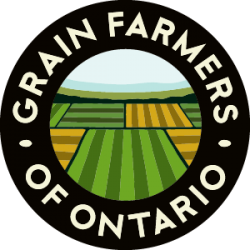 The Agricultural Adaptation Council assists in the delivery of Growing Forward 2 in Ontario. Characterize the response of corn hybrids to various agronomic management options and their interactions across relatively uniform and across zones of field variability. Identify important factors and their interactions for developing corn hybrid‐specific managed performance trials. 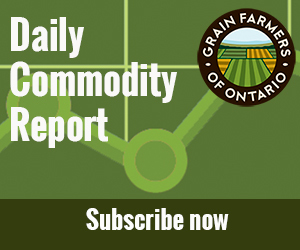 Identify site‐specific opportunities for intensive management of corn in Ontario. The development and validation of prescriptions to drive equipment with variable rate technologies using GPS may provide opportunities to manage inputs on a site-specific basis or in management zones across fields. The optimization of agronomic inputs through use of site-specific application of hybrids, optimal nitrogen rates, and the use of foliar fungicides has the potential to increase management opportunities and improve financial returns. The development of methodologies for identifying management zones in the field using advanced statistical approaches will advance precision agriculture research and lead to validated approaches for generating management zones on the farm. Innovative practices are needed to meet the global increase in the demand for food, and these must be developed efficiently to keep the Canadian agricultural industry competitive with other nations. Innovation will be accomplished by linking the latest in technology, developing the technology, and understanding the relationships between crop responses and sensor data with practical development and application in the field. Crop management strategies are changing in Ontario with the investigation of crop responses across combinations of input variables. These data have been generated on small plots or averaged across field length strips. Data averaged from small‐plot and field length strips have shown that corn yields are most responsive to specific hybrids, and changes in plant population, the application of a fungicide at VT stage, and nitrogen; however, little is known on the responsiveness of these various management strategies (or combinations thereof) across variable landscapes. Only a few studies have been conducted in Ontario on science‐driven site‐specific experiments in corn; clearly, intensive background measurements are needed to understand crop responses across variable landscapes. This project aimed to characterize crop responses to hybrid, plant population, nitrogen (N) fertilizer, and fungicides depending on the position in the field. Conclusions from 2014 and 2015 still need solidifying: a third year of experimentation will follow under “Advancing corn and wheat in Ontario through site-specific management: the conclusion.” Corn response to increasing plant population from 32,000 to 37,000 plants/ac averaged approximately 5 bu/ac (P < 0.05) across all site-years, which would be a conclusion in most conventional field trials with a population treatment; however, this project added the dimension of site-specific responses. The actual responses to plant population were both site-specific and hybrid-specific, which varied between -25 to +30 bu/ac depending on hybrid and location in the field. Areas with higher yield potential tended to respond more to higher plant populations, especially at the highest N fertilizer rates. Responsive areas tended to consist of medium-textured soils with higher organic matter levels compared to other soil types and low organic matter. Field areas were identified that did not respond to higher plant population. Similarly, yield response to an additional 50 lbs N/ac varied between -15 to 36 bu/ac depending on the location in the field, and fungicide responses varied from -17 to +17 bu/ac depending on the field position. The data demonstrate opportunities for reducing crop inputs on some areas of fields, while increasing inputs on other areas. Areas that respond to inputs (N or fungicide) tended to use the resources; if resources are applied but not warranted then they subtracted from the return on investment from responsive areas of the field, and they could pose more environmental risks. The data also show that some hybrids were more responsive in some areas of fields than others; this project provides an excellent foundation for studying multi-hybrid research, or equipping planters with the ability to plant multiple hybrids across the field depending in field position. Hybrid response to intensive inputs was related to the genetics of the hybrid for disease tolerance and the ability for plants to stay green long into the season.